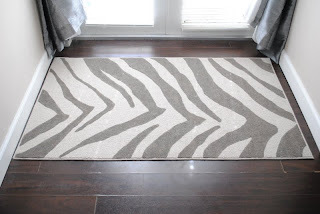 My zebra rug is being featured over at Knock Off Decor today. My sister and I knocked off this rug from West Elm. Congrats. Nicely done! I especially like the fact that it's gray. This is so beautiful! Maybe I'll make an outdoor version..... I love ideas about how to customize interiors. Thanks for the idea! 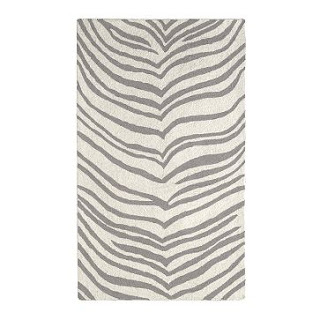 Really starting to like animal print and this rug is one of the reasons why! I love the rug and the post, thanks! !